Facebook is the most popular social network on the internet, and as a result, its messaging service is a very common way for people to privately communicate with one another. However, Facebook also tells you when your recipient has read your message—something not everyone enjoys. These are called “read receipts”, and Facebook doesn’t actually include a built-in way to disable them. As such, there’s no one-click-trick to make this happen across the board. If you do most of your chatting on the web, there’s a simple extension available for both Chrome and Firefox that will remove the “Seen” dialog from chat boxes—including those on Messenger.com (Chrome only). It’s worth noting that the Firefox extension is very barebones when compared to the Chrome extension of the same name (it appears that they’re created by different developers). So, we’ll cover each individually, starting with Chrome. UPDATE: Unfortunately, the extension we used to recommend in this post, Unseen, has essentially become malware—recently, it started creating popups on our system that were constantly flagged by our anti-malware app, and one look at the reviews shows we aren’t the only ones. So we no longer recommend installing this extension—and if you have it installed already, you should uninstall it now. We’ve removed this section until there is another method for doing this in Chrome. This one is really simple—like I said earlier, there are no features here—it’s a completely different extension from a different developer. It just does what it does, and that’s it. Install this extension. There are no settings to tweak, nothing to enabled or disable. It’s just the extension and nothing more. It’s also worth noting that this won’t work at all on Messenger.com—it only applies to Facebook. 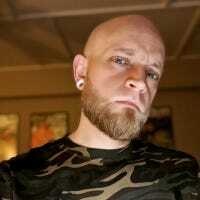 Much like on Chrome and Firefox, a simple app will do the trick on Android, as well. 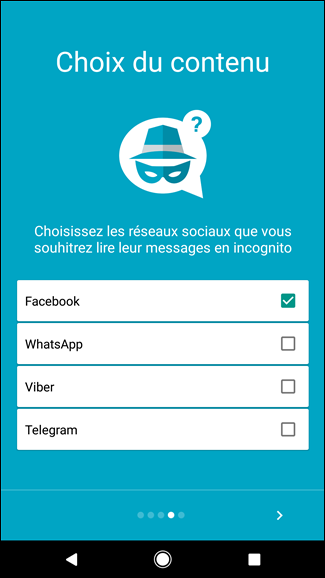 The app—also called Unseen (no affiliation with the Chrome or Firefox extensions)—is basically a replacement for the official Facebook Messenger app, but it also blocks “seen” notifications on WhatsApp, Viber, and Telegram. To get started, you’ll need to first install the app. Once installed, run through the set up process, which will tell you how the app works. 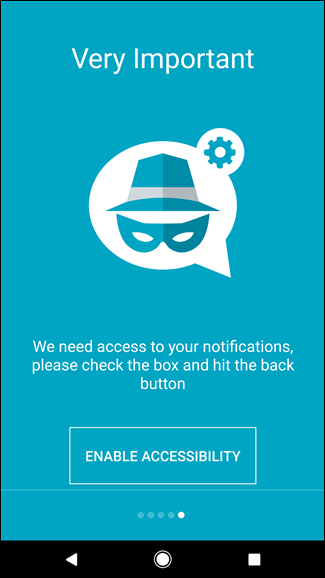 The last step requires you to allow Notification Access to the app. 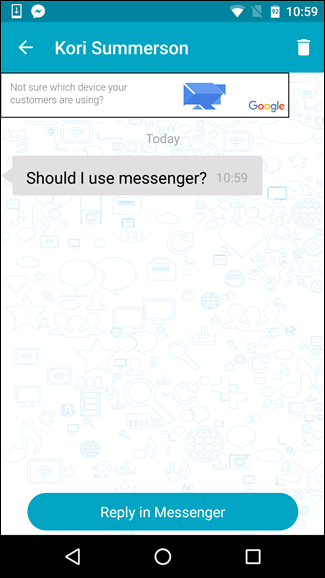 As such, it also requires you to have the official Facebook Messenger app installed, so make sure you have that too. 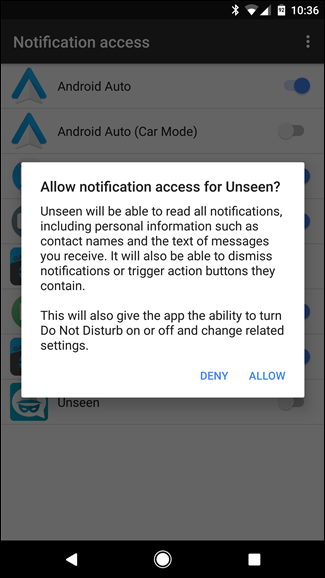 Basically, here’s what Unseen for Android does: it reads your Facebook Messenger notifications, pulls the text from them, then puts it into its own window. This allows you to read everything said, in its entirety, without the other person knowing you read it. 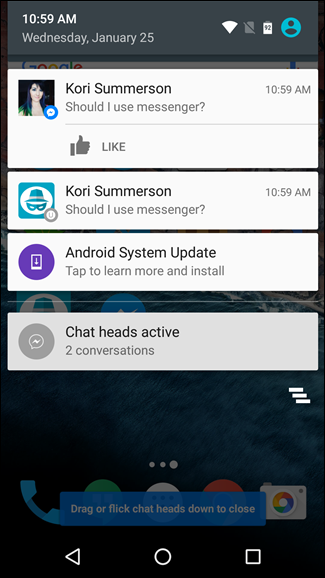 Of course, this means two notifications are generated: one for Messenger, one for Unseen. 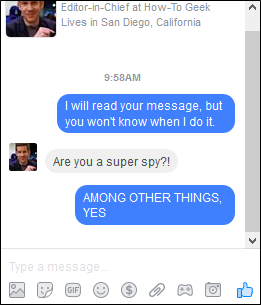 Also, you can’t directly reply to the messages from Unseen—it will just open the message in Messenger, letting the other party know you have then seen the message. Really, it’s kind of a janky method, but it serves the intended purpose nonetheless. And that’s really all there is to it. It’s simple and effective, even if a slightly awkward workaround. These are all really simple solutions to what is an annoying issue for many users. This removes the unnecessary pressure users of Messenger have to reply shortly after having read a message as to not upset the other party, which is just silly. This way, you can read messages when you want, then reply when it’s convenient.